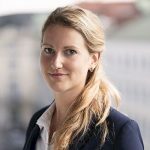 Einer unserer Sales-Experten meldet sich umgehend bei Ihnen. Wir garantieren eine schnelle Antwort. Haben Sie Fragen zu Preisen, Konditionen oder Ihrem Vertrag? Einfach anrufen! 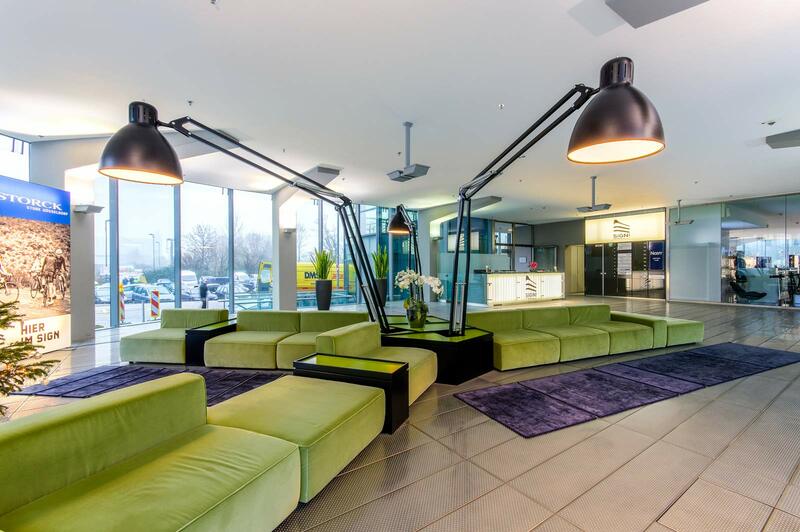 2 exclusive spaces are available in the center of Düsseldorf. Claim our Special Spring Offer now and get the months April and May free of charge! Düsseldorf – a major fashion city, where the most modern architecture meets a wealth of traditions. 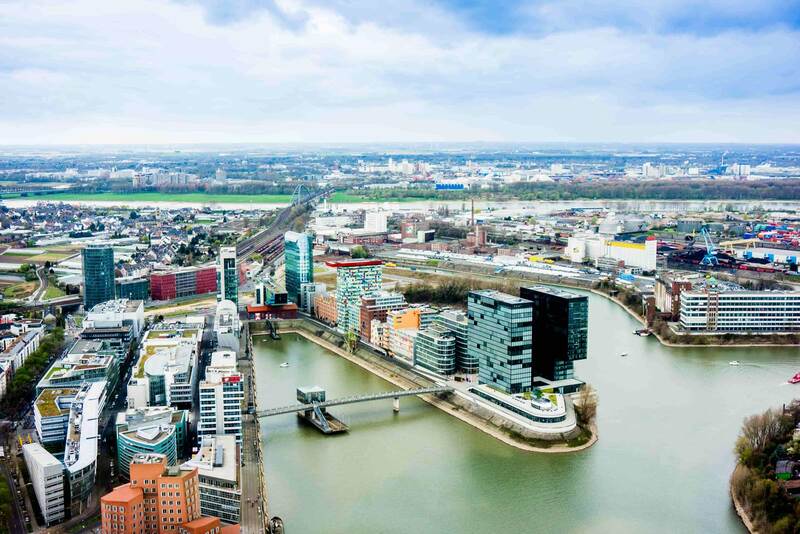 Düsseldorf – the birthplace of many start-ups and the home of over 100,000 companies. In the past ten years, the vibrant capital has experienced steady economic growth and attracts new companies and business people every day. Would you like to benefit from this inspiring atmosphere? 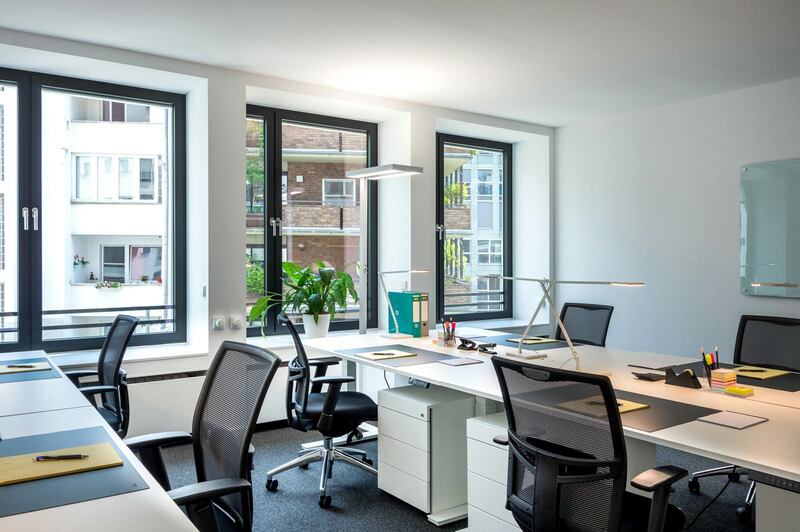 Then rent a stylish office for your team or a coworking workplace in one of the two WorkRepublic branches in the best locations in the city: at the futuristic Medienhafen or on the central Berliner Allee. Whether in the middle of the Tech-Hub or in a multi-faceted, central area – we offer the right environment for your company. Visit us and decide for yourself which of the two locations you like best! Choose the best office for your team! Furnished with high-quality furniture and ready to move in. Your permanent workplace in a community office. Economical and flexible. Business address, postal reception and 5 coworking days per month – bookable now. Expand your own network and get to know people from other industries. Stylish and functionally furnished. Optimal for conversations of every kind! Whether for 1 day or for 1 week – enjoy all the benefits of our membership. Best service and pleasant working environment. We are always there for you personally. All our contracts can be terminated on a monthly basis. Stay flexible! Plan your working hours exactly as you wish. 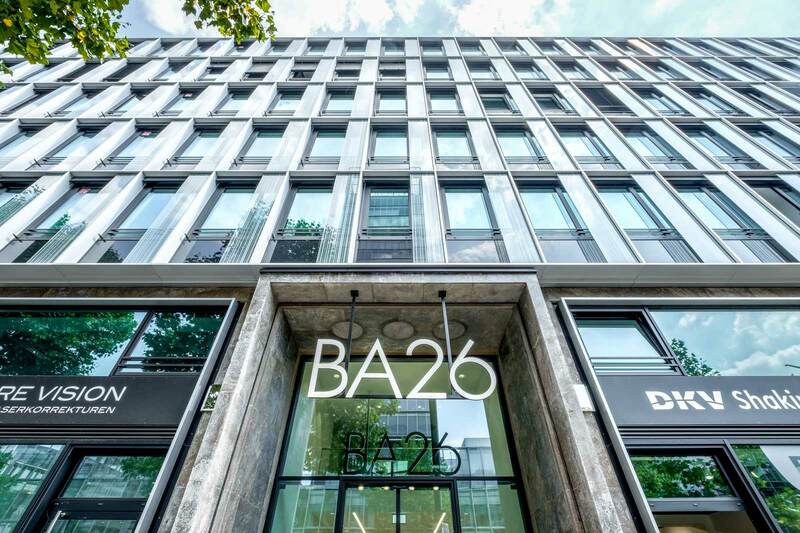 Your business address in the best and most central location of the city. Work Republic offers time-flexible and cost effective offices, coworking space, prestigious business address, countless networking opportunities and everything you need for your work.